For more than four decades, working with agricultural shows has been a labour of love for Michael Hughes, who “enjoyed every minute” of his lifetime of interaction with rural communities across the country. “I regard it as a privilege and consider that I was very lucky to have the opportunity of meeting so many nice people who were so committed to organising local shows over the years,” says Michael. 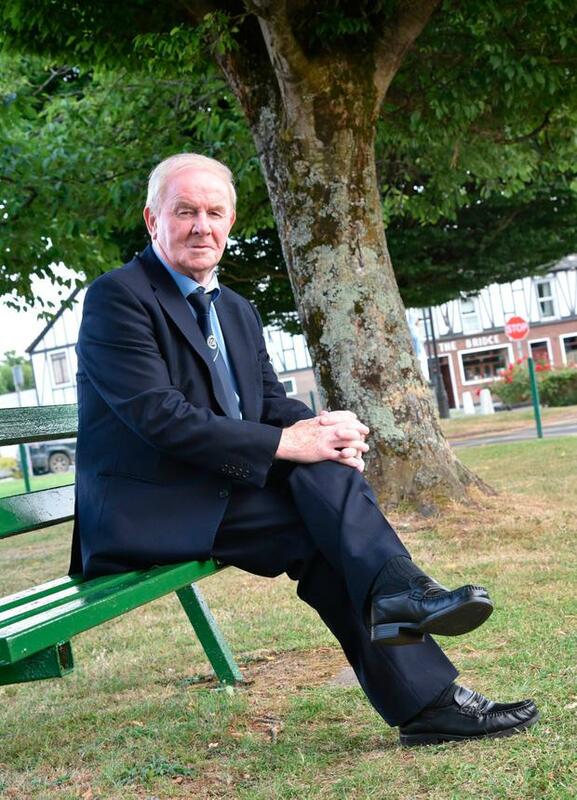 Within a couple of months, the Mountbellew, Co Galway man will be calling time on 41 years of service when he retires as executive secretary of the Irish Shows Association to coincide with his 75th birthday. He hands over the role to Jim Harrison from Castleblaney, Co Monaghan in November. “Undoubtedly I am going to miss the involvement and the interaction with the show committees, but there comes a time to retire for everyone,” says Michael. ISA president David Sheehan, of Rockbarton Stud, Bruff, Co Limerick is midway through his two-year term, which influenced Michael’s decision. “He is an excellent president,” says Michael. “I don’t think it would be good to change the president and secretary at the same time and that would mean that if I didn’t retire this year I would be staying for a further two years. Michael became Western Regional vice-chairman of the ISA in 1977, having already been involved in the running of his own local show for many years, and was elected to the board of in 1987. He served as national chairman in 1996-97 and served two periods as treasurer, 1990-96 and 2001-06, when he became national executive secretary. There are 110 agricultural shows affiliated to the ISA; a key factor behind so many getting on board was to secure insurance cover. “The local shows getting insurance cover individually had become very difficult and very expensive, but they couldn’t take the risk of being without it,” Michael explains. The co-ordination under the ISA has also benefited the local shows with the opportunity to run qualifying rounds for a number of national competitions which have been put in place by the association, with the national finals allocated annually to the venues. Over the years, while shows have sprung up in new locations, others have fallen by the wayside. Michael feels that many of the challenges which shows have to cope with today are “not for the better” with increased administration and rising running costs. “Without sponsorship the agricultural shows could not survive, and many shows are finding it difficult to retain their sponsors or to get new sponsors,” he says. “The sponsors are also now expecting more in return for their involvement. “Last year Minister Michael Ring allocated €812,000 towards the rural shows, which has given about €7,000 each and that was a great help. Michael warns that country shows “are going to have to change if they are to survive” and combat the rising costs and falling attendances. An equally big challenge will be “trying to get more young people involved in the running of the events” – he believes the shortage of volunteers is edging closer to crisis point for some shows. “Some shows are now having to pay for stewarding because the volunteers are not there,” he says. “As the older people who gave so much voluntary help pass on, the young people to replace them are not there and I can see that becoming a very big problem for a lot of shows. “If more young people cannot be encouraged to help out, the shows could become dependent on each other to provide the necessary help to keep the shows going. “It has become much more difficult to get the young people involved in most areas of the country. “Some of the shows are finding it harder to attract the attendances that they used to, and the gate receipts are an important part of their income. “And if they get a wet day it can be a real problem. As for his own future? “I have spent a lifetime involved in the rural shows and I am still going to be interested and I look forward to attending many of them in the future – and meeting many of my old friends up and down the country,” he concludes.